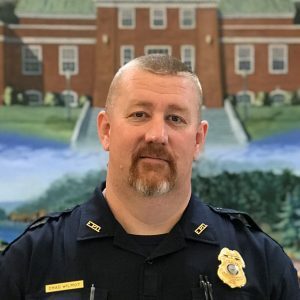 The Ellsworth Police Department protects the rights of all guaranteed by the Constitution of the United States, the Laws of the State of Maine, and the Ordinances of the City of Ellsworth. We are dedicated to maintaining a safe community by reducing crime and fear of crime, protecting life and property. 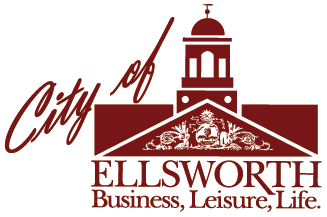 We are located on the first floor of Ellsworth City Hall. For easy access, use the Church Street entrance. 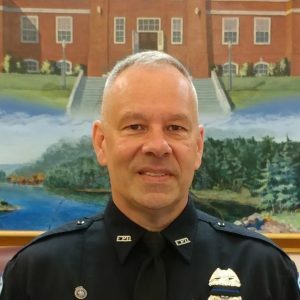 Chief Moshier has been for the Ellsworth Police Department since 2004. Moshier spent 5 years in patrol specializing in OUI enforcement and becoming a DRE. Moshier was promoted to Sergeant in 2009 where he supervised the patrol division for 8 years. In 2016 Sergeant Moshier was promoted to Captain where he served as the second in command of the department. In 2017 Moshier was promoted to Chief of Police and currently heads the 21 person department. Captain Bires has been working for the Ellsworth Police Department since 1990. Bires worked his first 13 years in patrol specializing in OUI enforcement and becoming the departments first DRE. Bires was assigned to MDEA in 2004 and spent 14 years as an agent and assistant supervisory agent with the Maine Drug Enforcement Agency. In 2017 Bires was promoted to Captain and currently serves as the Departments second in command. Sgt. 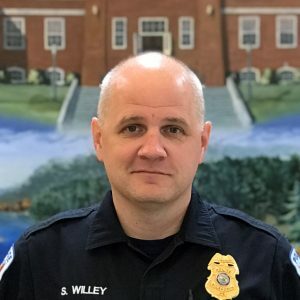 Willey has been working for the Ellsworth Police Department since 2003. Willey worked patrol where he became the departments K-9 officer in 2005. In 2011 Willey was promoted to Sergeant and still serves as the departments K-9 officer with, K-9 CHASE. Sgt. Willey currently supervises one of the two evening crews and is a member of the Underage Drinking Enforcement Team. Sgt. Willey also supervises the three dispatchers at the Ellsworth Police Department. Sgt. Wilmot has been working with the Ellsworth Police Department since 2001. Wilmot worked at the Hancock County Jail before joining the Ellsworth Police Department. Wilmot worked in patrol and became the departments accident reconstructionist in 2009. Wilmot was promoted to Sergeant in 2016, Sgt. Wilmot currently supervises the other evening shift along with being the department accident reconstructionist, Taser instructor, forensic mapper and a member of the Underage Drinking Enforcement Team. Cpl. 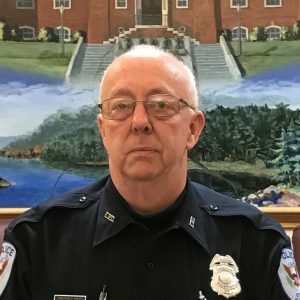 Mote began working at the Ellsworth Police Department in 1999, Mote came to Ellsworth PD from the Hancock County jail. As a patrol officer, Mote became a certified MCJA instructor where he is a defense tactics instructor, firearms instructor and served as a Cadre for the 12th BLETP. Mote left the Ellsworth police for a brief period to pursue another career opportunity but returned to Ellsworth PD in 2017. Officer Mote was promoted to Corporal in 2018 and is currently active in department and MCJA firearms instruction. Corporal Mote is also an active member of the Army reserves. He also holds a Bachelor of Science in Criminal Justice from Allied American University. Cpl. Merchant has been working for the Ellsworth Police Department since 2015. Merchant worked 3 years in Southwest Harbor as a patrol officer before joining the Ellsworth Police Department. Merchant was promoted to the rank of Corporal in February of 2018 and is currently the department DARE officer where he teaches the DARE program to the middle school 5th grade classes since 2017. Cpl. Merchant is the leg leader for Special Olympics and a Police Training Officer for the department. 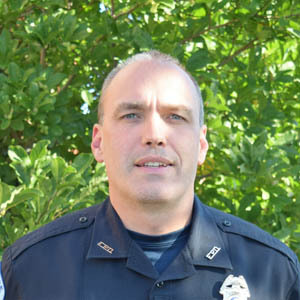 Officer Roberts has been working with the Ellsworth Police Department since 1998. Roberts worked for the Los Angeles Police department for 12 years prior to moving to Maine and becoming an Ellsworth Officer. Officer Roberts is active in the community serving as the Ellsworth High School varsity softball coach and golf coach. Officer Roberts is also the department Animal Control Officer. Officer Torrey has been working with the Ellsworth Police Department since 2008. 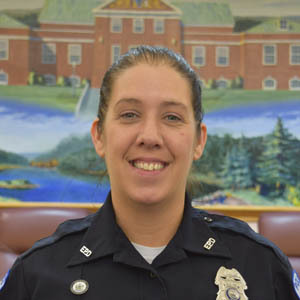 Officer Torrey worked that the Fairfield Police Department for 11 years where she was a K-9 handler for 6 years before coming to the Ellsworth Police Department. Officer Torrey is currently the departments school resource officer (SRO). 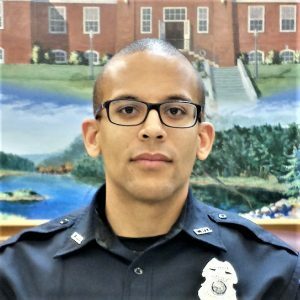 Officer Torrey spends time at each of the schools in the Ellsworth School System during the school year and returns to patrol during the summer months. Officer Weatherbee has been working with the Ellsworth Police Department since 2008. Officer Weatherbee became one of our primary firearms instructors in 2017, obtaining his MCJA and Urban Rifle instructor certifications during 2007. He also is the department Armorer and is a defensive tactics instructor. 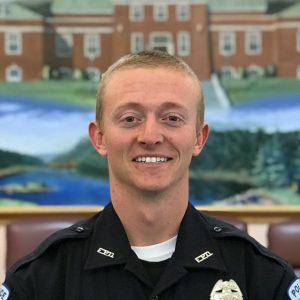 Officer Ryan has been working with the Ellsworth Police Department since 2015. 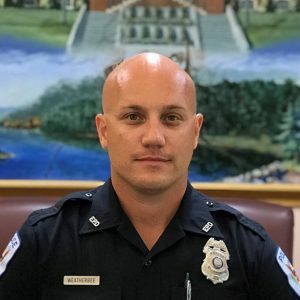 Officer Ryan came to Ellsworth Police Department from the Southwest Harbor Police Department part-time prior to joining the Ellsworth Police Department. 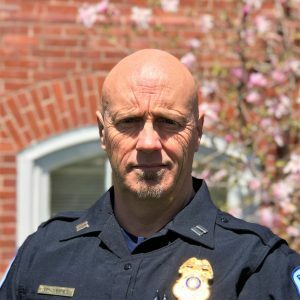 Officer Steward has worked with the Ellsworth Police Department since 2016. Officer Steward completed the 31st BLETP in 2017 and is currently assigned to patrol. Prior to working at the Ellsworth Police Department Officer Steward was a member of the US Army. 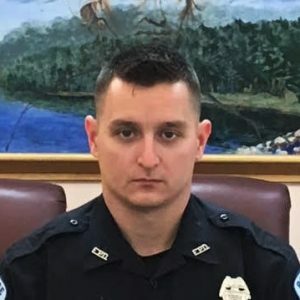 Officer Mahon has been working for the Ellsworth Police Department since 2017. 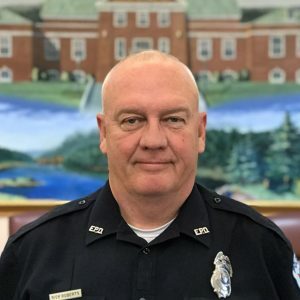 Prior to joining the Ellsworth Police Department Mahon worked 10 years in private security and retired after a 25 years with the Maine State Police. 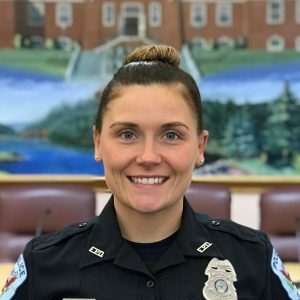 Officer Hall has been working at the Ellsworth Police Department since 2017 and recently graduated from the 33rd BLETP. Officer Hall recently completed the PTO program and is assigned to patrol. 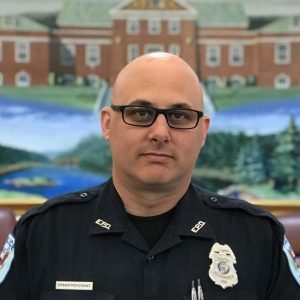 Officer Mahon has worked with the Ellsworth Police Department since 2018. Officer Mahon completed the 34st BLETP in 2018 and is currently assigned to patrol. He holds a Bachelor of Science in Sport Management from Husson University. Please use this form for only non-emergency questions. For emergencies, please dial 911. For non-emergency phone calls, call 207-667-2168.